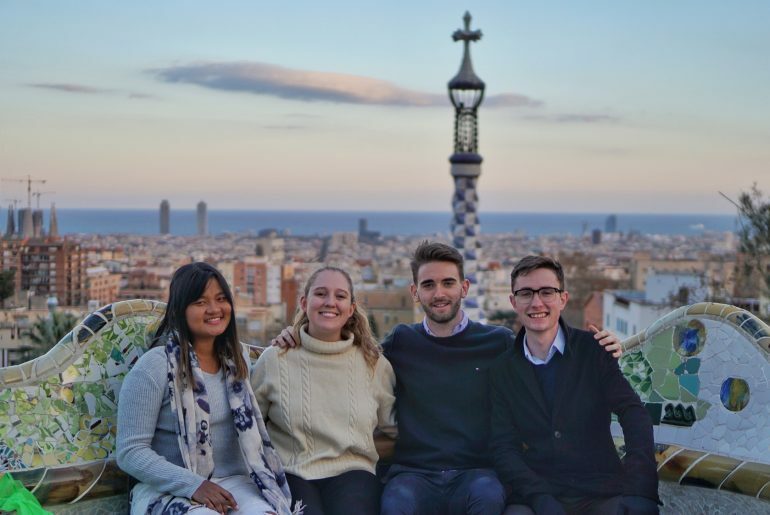 Months of preparation kicked into action on Monday 18 March, when myself and three other QUT Business students, Katie Cockburn, Royce Adcock, and Harry Jobberns, flew to Spain to compete in UNICC: the International Case Competition hosted by the University of Navarra. 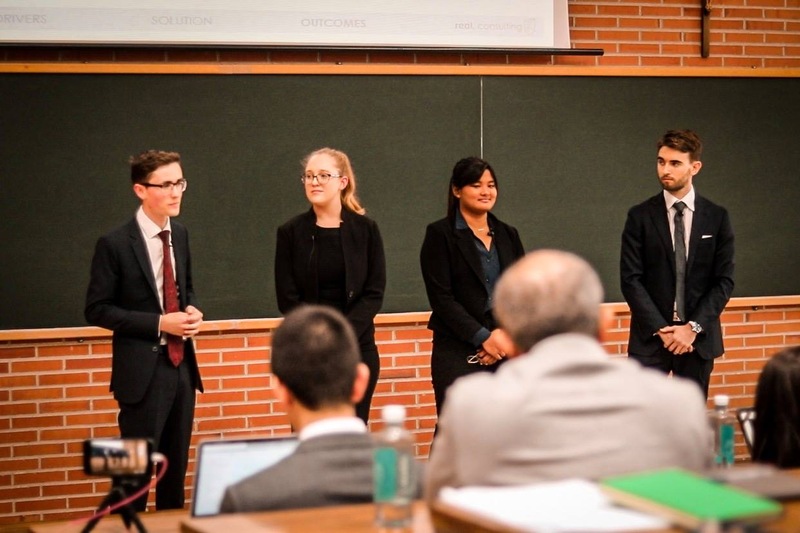 The competition saw 16 teams from prestigious global business schools and 12 countries working to solve real and complex business situations, and presenting their solutions to academic, industry and company judges. 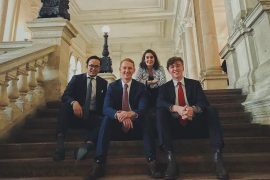 The divisions for the week were drawn and QUT was placed to compete against HEC Montreal (Canada), University of St Gellen (Switzerland), and the American University of Beirut (Lebanon). Each team competed in their pool for two three-hour (no internet) case presentations for 15 mins with 10 mins Q&A, and a24-hour case which was weighted double and was 20 mins and 15 mins presentation and Q&A respectively. The highest scored team from each pool would go on to compete in the finals – presenting their same 24-hour case. As a billion-dollar pharmaceutical who had invested millions in the company’s internal innovation and intrapreneurship programs but were not having the impact desired, ‘Real Consulting’ identified the problem as a lack of employee engagement. Our solution suggested employees receive more time and a structured incentive scheme for doing innovative work. We presented to judges who included UON academics and external industry, who were looking for something about a bit more millennial and ‘exciting’. 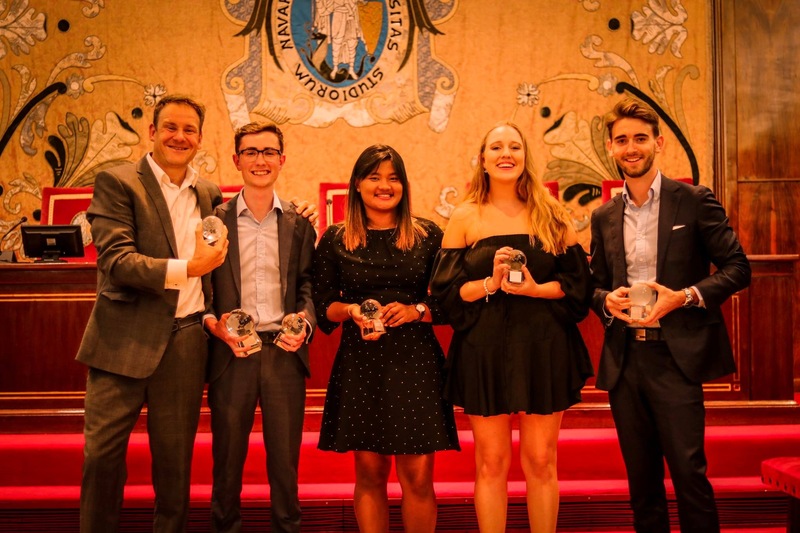 QUT placed last in our division – but we knew that if we had told a more compelling story things may have been different, and we still had a shot if we won the next case. The case asked teams to provide a strategy for the social enterprise – who employed a community-based approach to saving and encouraged financial education to draw people out of poverty – to expand into new markets. Being a no internet case, QUT did what we knew best, and our strategy targeted Indigenous Australians. Our ‘innovation’ was the inclusion of a Raiz like program which could then be scaled to target Indigenous communities of developed nations worldwide. 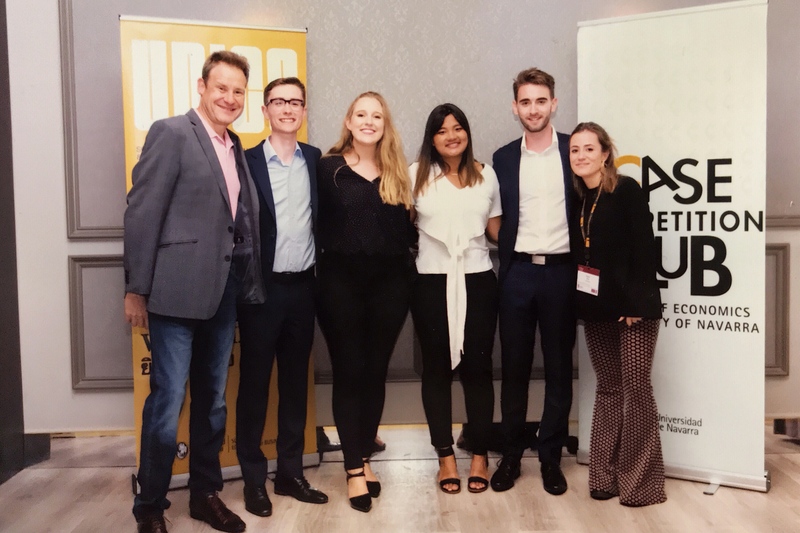 We presented to a judging panel which included the co-founder of the company, and an indigenous expert, and it drew glowing responses as we emphasised the true impact was people helped rather than profits made. However, the written feedback put us on edge, with scores of 99/100 and 51/100. Luckily, we came out on top, which meant QUT was tied for second in our division. This all happened with the extra pressure of one of our team members splitting her skirt mid-analysis. That night, a well-deserved formal dinner in the city helped everyone relax, and we got our first taste of Spanish nightlife. 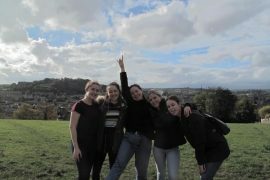 The following day, the committee organised a trip to the nearby town of San Sebastian, which was a stunning and much-needed break. 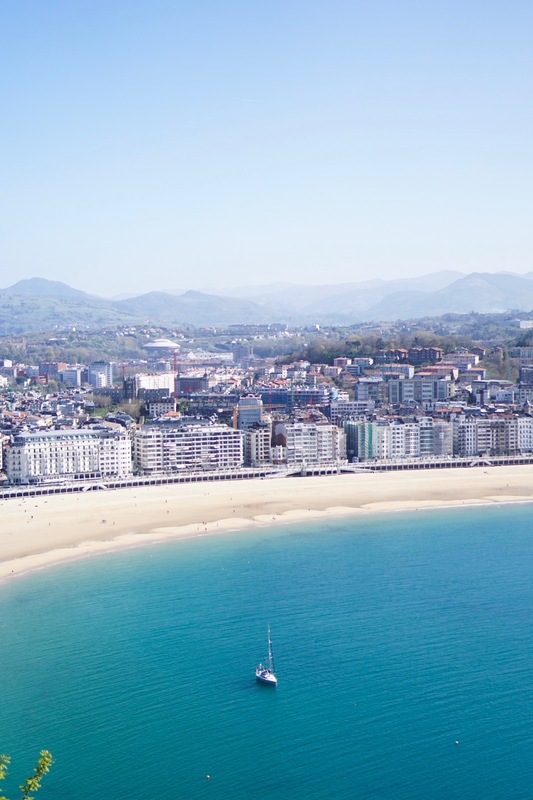 Harry snapped up another great pic atop a mountain in San Sebastian! Mondelez International is a leading confectionery conglomerate, whose brands include Oreo, Cadbury, Milka & Chips Ahoy. However, in Spain, their sales in the ‘impulse channel’ were low, and we were tasked with the hefty challenge of ensuring financial profitability by December 2019. QUT’s analysis showed that the company needed to ensure the ‘right snack at the right time’. Our strategy lent itself to rationalising the gum in stores to make room for chocolate and candy, reducing the number of stores that Mondelez sold in to make its sales team more effective, and offering promotional material and money to wholesale and retailers for prime counter positioning. During case cracking, we wandered to the local stores where we saw that there over 21 types of gum offered and this direct ‘market analysis’ was a key differentiator of us and other teams. We ended up placing first in our division, which meant we would be in the finals. Our finals presentation – can you tell we’ve had no sleep? QUT was slotted to present third, against Rotterdam University (Netherlands), University of North Carolina (USA), and University of Alberta (Canada). When finals were announced, we had about one hour to practice and mentally prepare ourselves (note we hadn’t slept in about 30 hours by this point). A few run throughs and hype songs later, our energy was back and we were ready to present. The judging panel included the head of field sales and head of chocolate from Mondelez Spain, and afterwards, feedback from many teams was that they loved our analysis and presentation, but we would have to wait until the closing ceremony to see who won. Ultimately, QUT came a humble second with Rotterdam taking out the win. One of our team members, Harry, took out a well-deserved Best Speaker award, while our advisor Dr Bernd Irmer won a coaching award. We were all pumped, especially with this being the first case for Harry and myself. The night was spent celebrating, trying to chat with all the people we could, and learning how to party like the Spanish. This was also a lesson of resilience, as we learnt we could make it about 43 hours without sleeping. 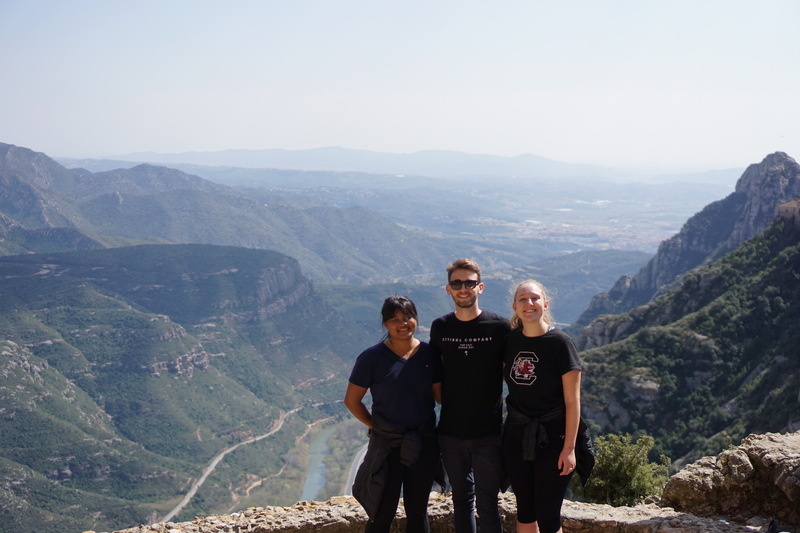 The next day, we had a 9am train to Madrid, where we spent some time exploring (also known as falling asleep in public parks) and relaxing before our long journey home. Ultimately, the 2019 UNICC was an amazing opportunity to test our business acumen, apply our learnings, make global connections, and have an absolute blast. 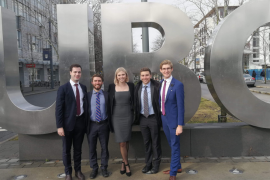 The opportunity would not have been available without the support of the Case Competition program, and the advisors Andrew Paltridge, Ingrid Larkin, Larry Neale and Bill Proud. In particular, our team advisor for UNICC Bernd Irmer dedicated immense time, effort, guidance and support in preparing us for the competition and we are incredibly grateful. Being a part of the case competition team is an incredible opportunity, and I’d encourage anyone who is eligible to apply.